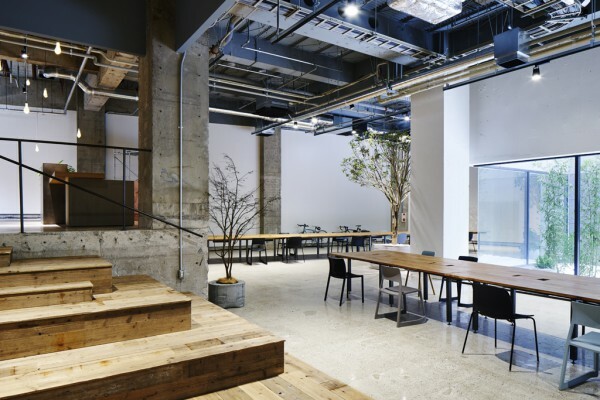 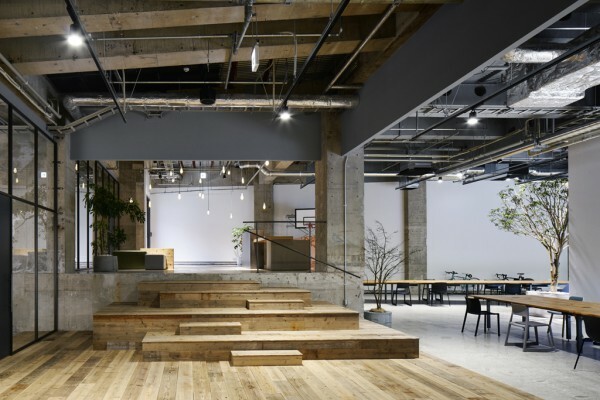 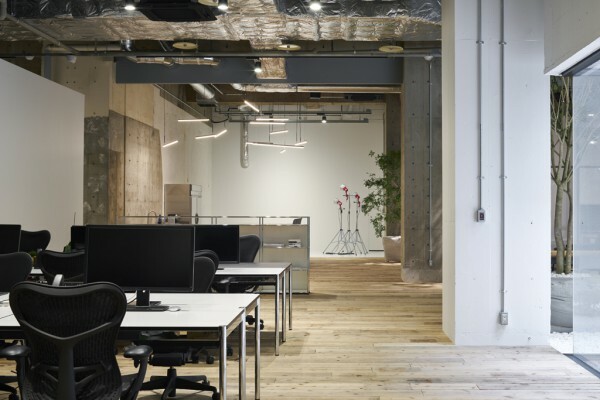 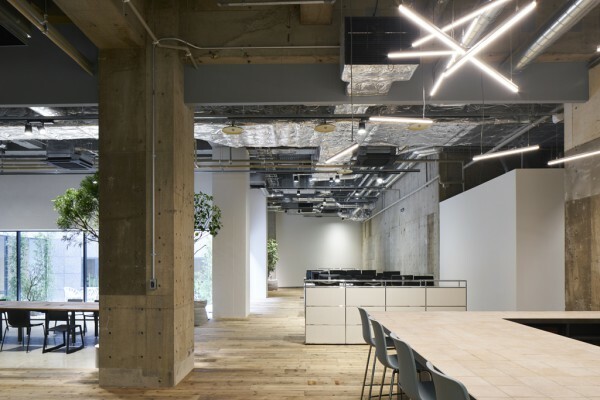 We performed the interior design for the Tokyo office of AKQA, a global ideas and innovation company. 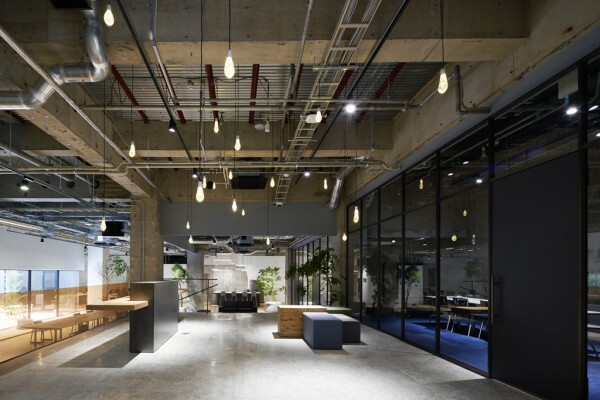 Since their office is located on the first basement floor, we strived to create an appealing environment where the agency could pursue its developmental and creative activities by using the site's open spaces, six-meter ceilings and natural lighting. 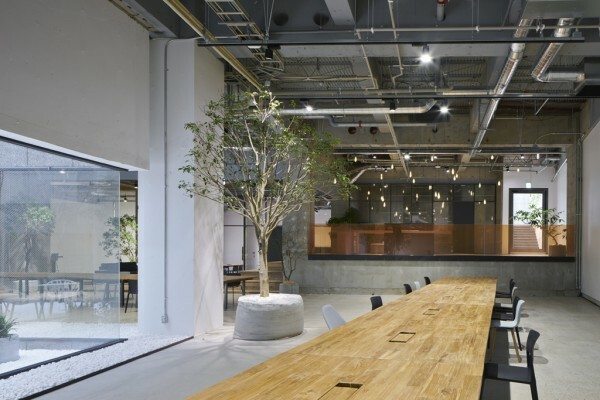 Centered around an inner court with big trees, we sought to capitalize on the site's existing leveled topography to make it work as an office by creating distinct zones with distinct functionalities. 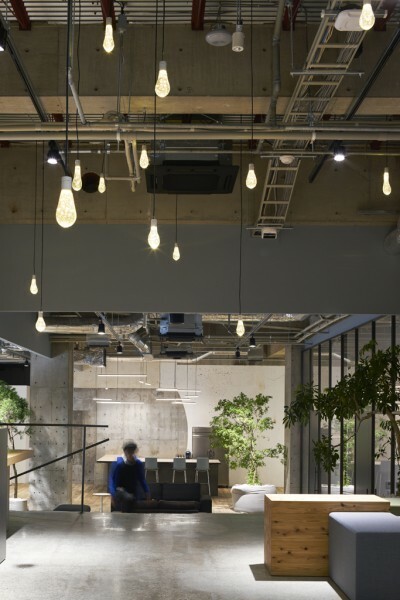 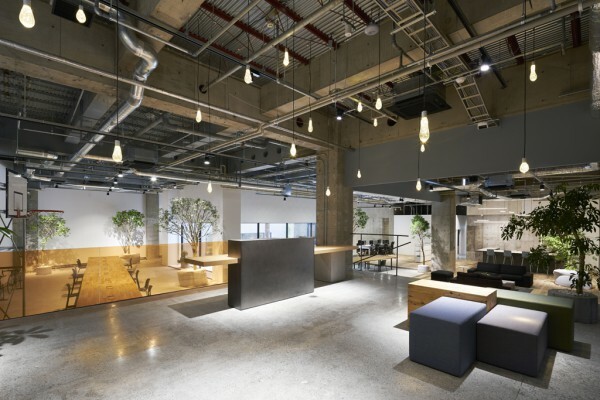 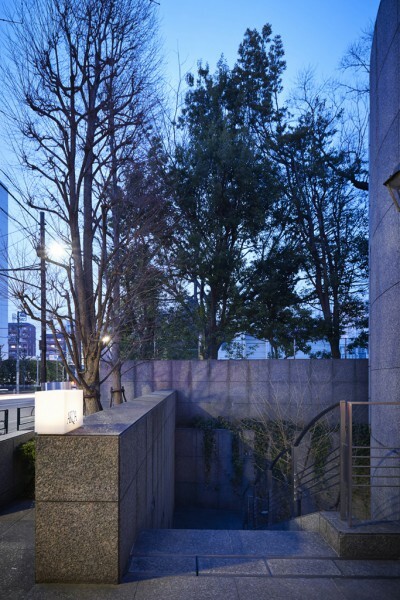 Visitors are greeted by "water balloon" lights, designed by Torafu, which can be found suspended throughout the reception area on the raised platform overlooking the entire office space. 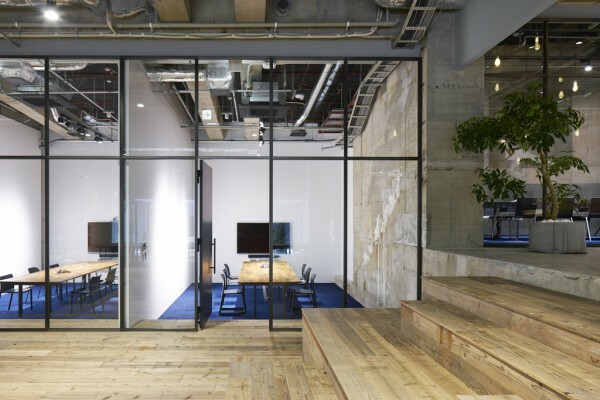 On the same level is one room for meeting visiting clients, while three private meeting rooms with doors framed by steel sash windows can be found at the bottom of the grand stairs. 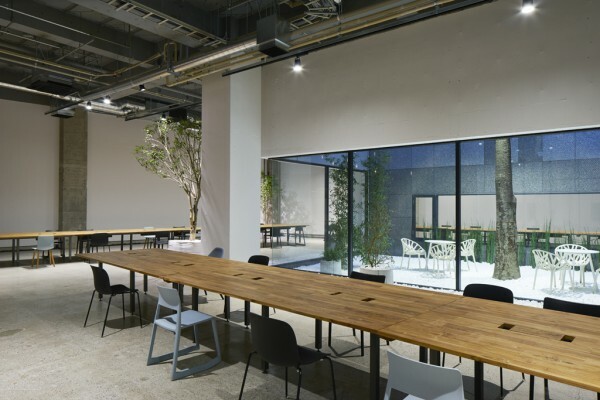 While workstations are found in a compact area of the site, most of the space is taken up by a collaboration space consisting of two long tables adjacent to the inner court, which provides enough light for coworkers to clearly see each other when holding meetings. 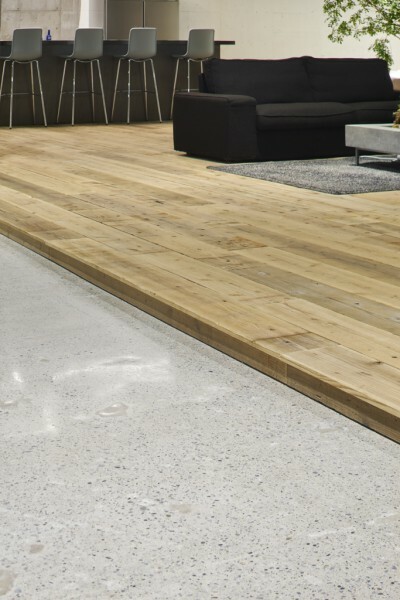 This circling line of flow brings a sense of unity to each space found around the court. 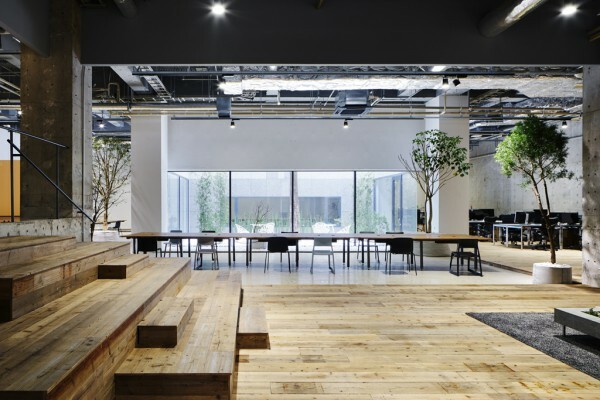 Moreover, a tile-clad bar counter and a photo shoot studio set up in a corner painted in white opens the office to a variety of uses. 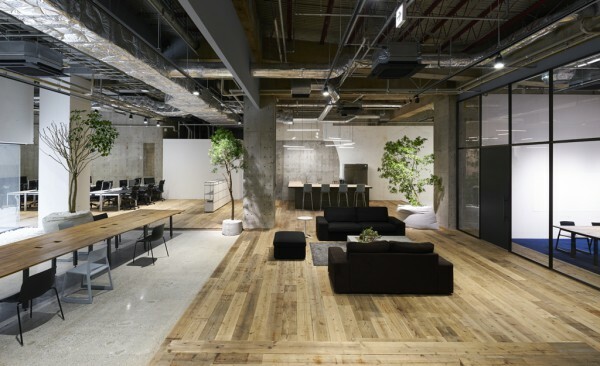 Elements from each area, such as polished concrete floors, white gravel diffusing natural light from the inner court, a grand staircase and a stage-like work space made from construction scaffolding flooring, the accent colored glass, and planters made of white mortar casted in sandbags, etc., come together to make the space whole while complementing each other. 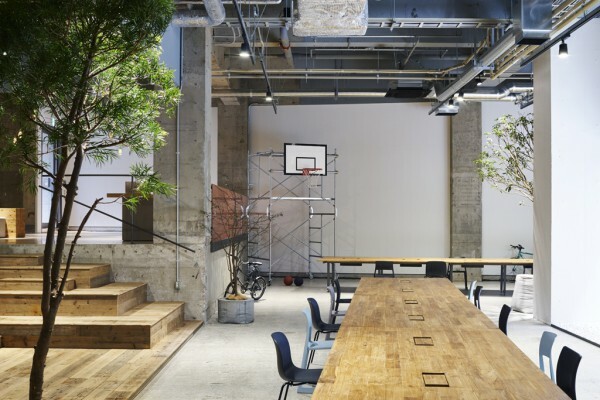 Furthermore, we sought to contribute to in-office entertainment by installing a basketball hoop on a rolling tower scaffold. 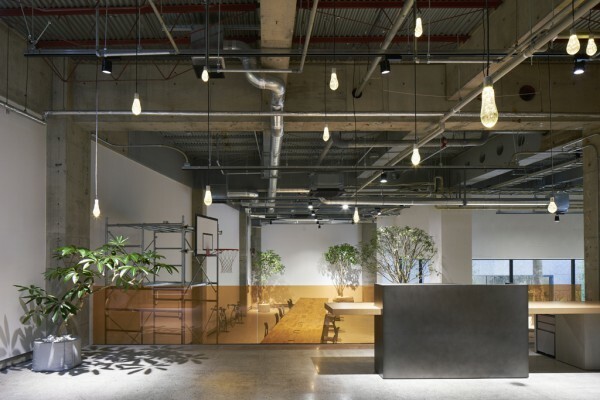 By turning the light-filled inner court and the leveled topography of the existing open space site into its greatest appeal factors, and performing careful additions to each area so as not to appear too finished, our aim was to create a space hinting at the agency's developmental and creative activities.